Data is from the July 2016 SaleCycle "The Remarketing Report - Q2 2016." 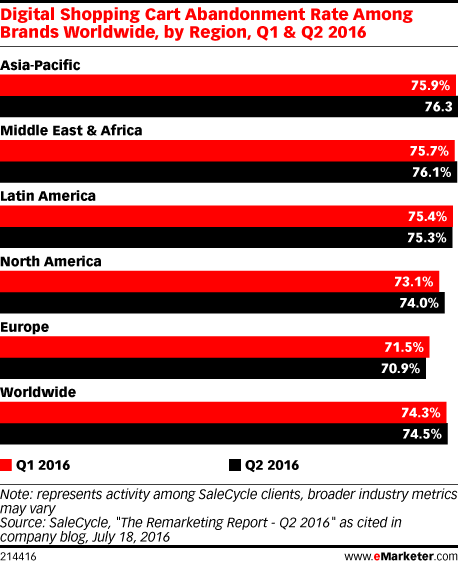 Over 500 brands worldwide were studied during Q2 2016. SaleCycle is a remarketing company.